Senior Fashion News Director Glamour magazine, Jane Keltner de Valle, After Victoria Beckham, NYC, September 2015. 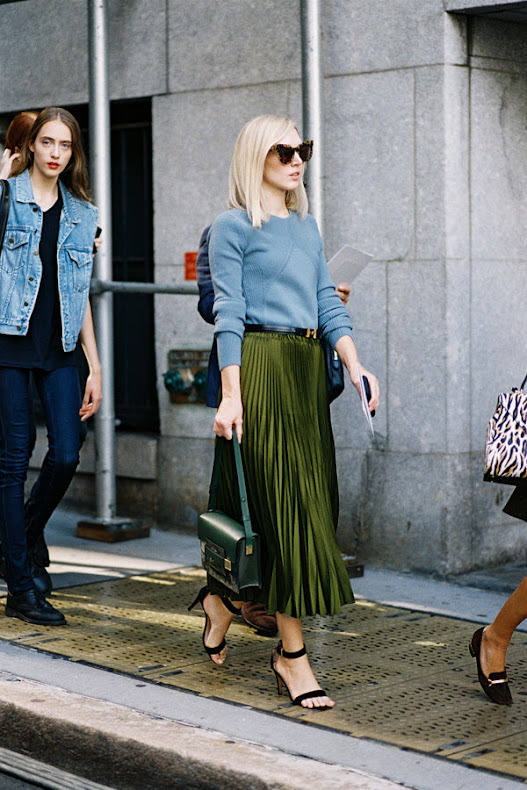 I loved this Gucci pleated skirt on Jane: the rich olive green colour and satin fabric was so beautiful. Jane wore it a few times during fashion month (styled with different tops) - so refreshing to see on a fashion editor!